Virtual Reality is quickly becoming a popular way to engage people. Whether it be via apps, consoles, or booths at festivals, we are starting to see it appear more frequently in our everyday lives. 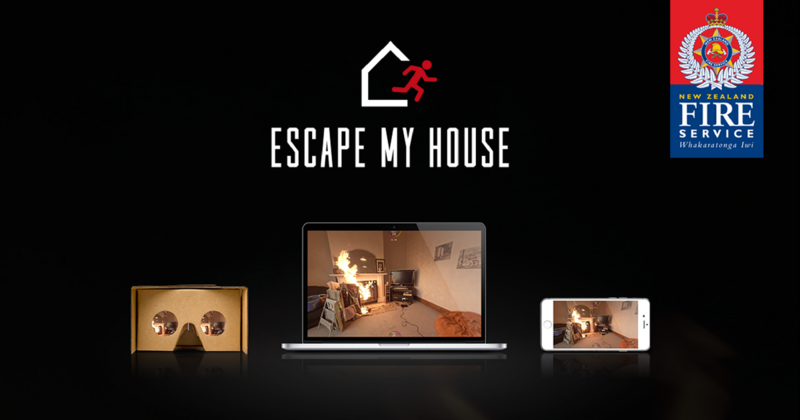 Last month, The New Zealand Fire Service (in partnership with FCB New Zealand) released their own VR experience called “Escape My House”. 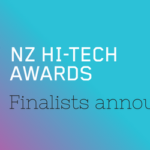 Their innovative idea evolved into what has become one of the most eye-opening experiences for many kiwis and has already made its way beyond New Zealand. 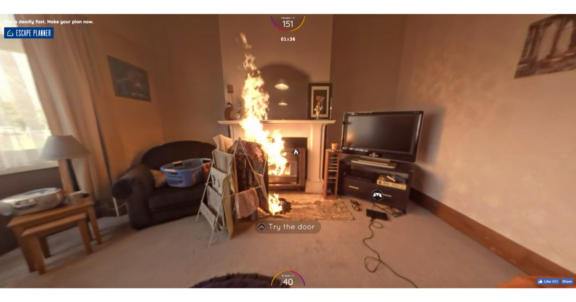 Escape My House is an immersive and gripping experience that places individuals inside a real house fire using an interactive 360 video. The scenario is set up with users arriving in the lounge area of a home, to find a fire has started on a clothes rack that has been left too close to the heater. Despite the fire looking small and manageable, it is actually already out of control. As the user tries to escape the fire, obstacles pop up, hindering their getaway – do they take the photo album? Or the gaming console? The front door is deadlocked and there’s no time to find the key! By completing the experience, people are able to get a better understanding of the speed and intensity of a fire, and the importance of having an escape plan. Before the scenario begins, there is an opportunity for people to enter their own address. It gets personal when after escaping users are confronted with footage of their own house ‘on fire’. This image is pulled in via Google StreetView in an attempt to personalise the experience to each individual. 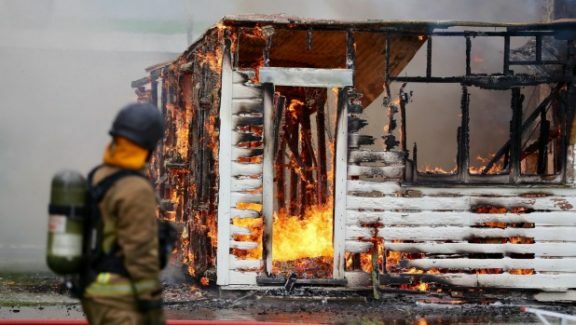 In order to capture a ‘real’ experience, the Fire Service really did create the situation in a derelict home in Palmerston North that had been donated to them for training purposes. 360 degree cameras that were proofed to withstand extreme heats were set up inside and then the real life scenario played out, with the cameras capturing it all. To follow up the shock and awareness this tool generates, users are invited to take action and develop a plan at the end of the experience. 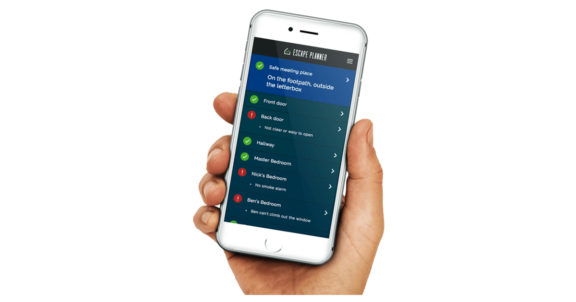 The Escape Planner tool walks people through a simple process of making a plan for their own house and is able to be completed whilst users move through their homes and check possible exits to combat the past roadblock of planning based on memory.